Universal Distribution is one of only five Authorized Distributors for Upper Deck in North America. 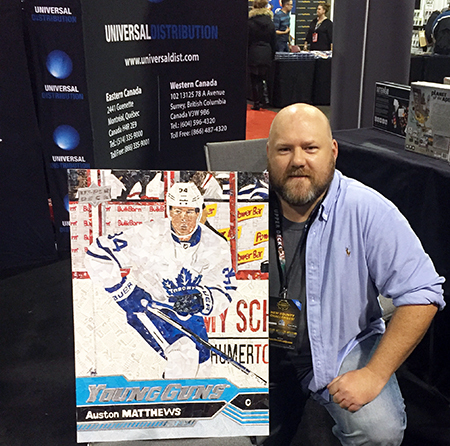 As Upper Deck streamlined distribution, Universal Distribution was one of the best that rose to the top for their efforts to not only responsibly distribute Upper Deck’s collectible products, but to work with shop owners to help improve their business. Universal Distribution is one of Upper Deck’s five Authorized Distributors in North America. 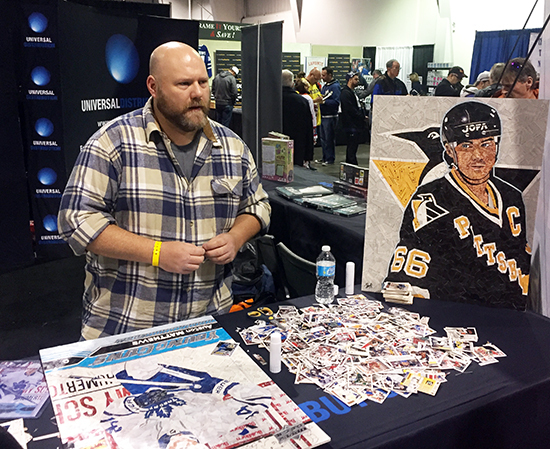 We see this on display at events, most recently at the Fall Sport Card & Memorabilia Expo. 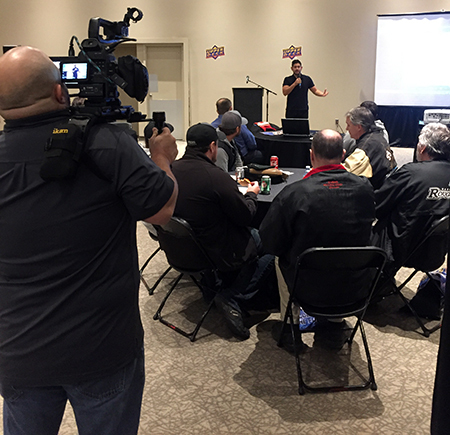 Before the show even began, Universal Distribution hosted a memorable evening session for shops in the area to give them a taste of the type of content they can get at Upper Deck’s Certified Diamond Dealer Conference. 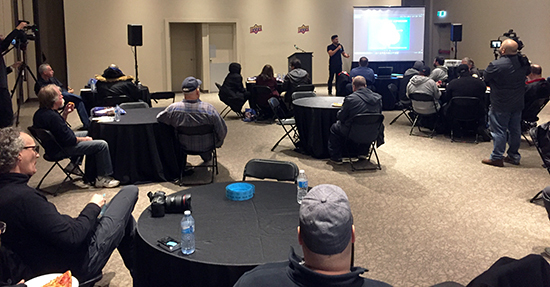 They partnered with Upper Deck to bring in renowned Customer Experience Coach Michel Falcon to talk to shop owners about how to hire staff and create incredible customer experiences in their stores. 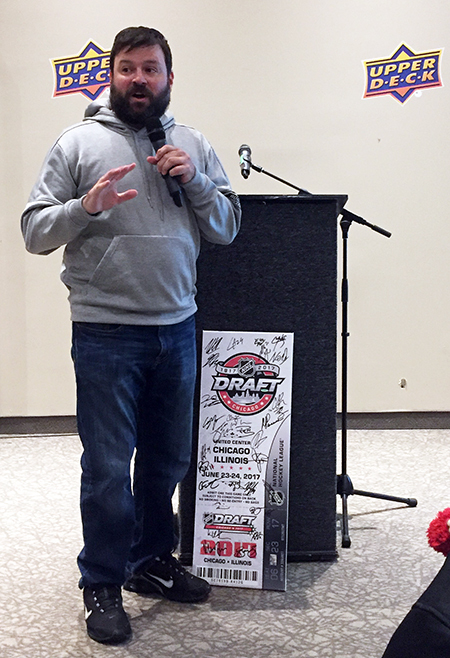 They also brought in one of Upper Deck’s hockey brand managers to talk through upcoming products with dealers so they are more confident in their communication when talking about these releases with their customers. 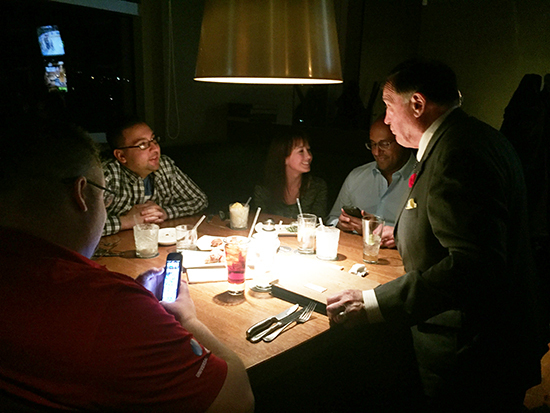 Being able to ask questions and share ideas with the person building the products was a huge bonus for guests in attendance. 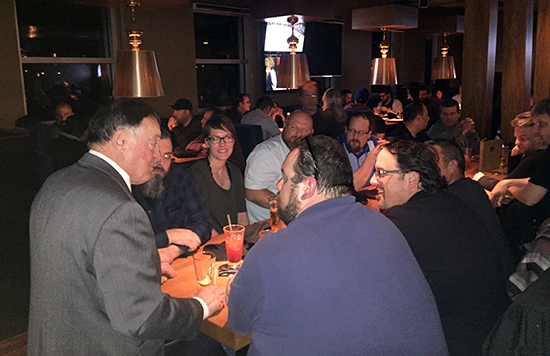 On Saturday night, Universal Distribution brought in over 50 shop owners and their staff for a memorable dinner to thank them for their support. Upper Deck made the evening a bit more special by bringing in Hockey Hall-of-Famer and Toronto Maple Leaf Legend; Frank Mahovlich. 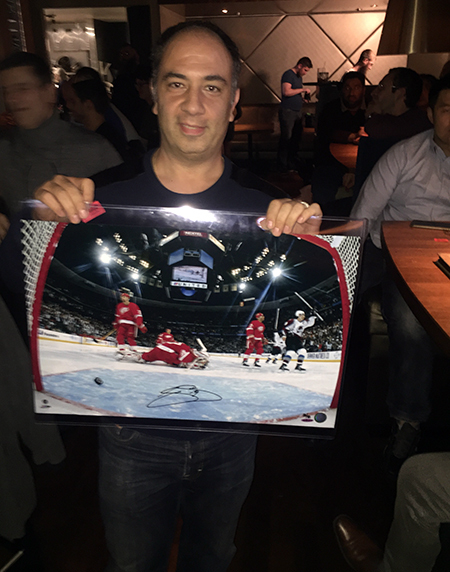 Frank talked with guests and signed a special poster for them as a parting gift. Universal has now brought in hockey greats like Frank Mahovlich, Tony Esposito, Darryl Sittler, Lanny McDonald and Tiger Williams in for these dealer appreciation events. 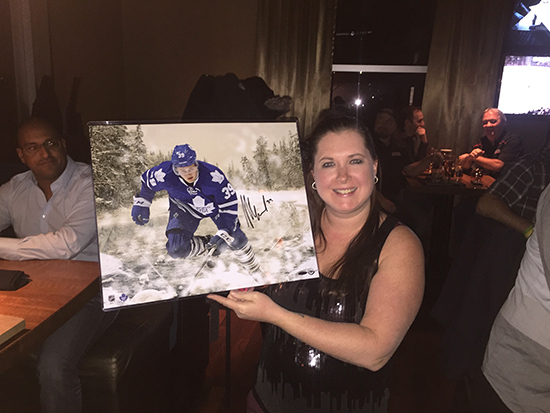 Dealers loved chatting up this hockey icon. Upper Deck made the evening a bit more fun by also sharing some incredible signed memorabilia with guests in attendance. For Universal this type of engagement has become an integral part of their success. “I firmly believe that by helping our partner shops become more successful, they can continue to grow their business and together we can improve the category as a whole,” said Angelo Exarhakos, Universal Distribution President. 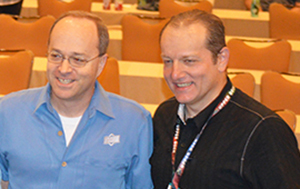 Universal President, Angelo Exarhakos (right) takes a photo with Upper Deck Vice President of Sales, Mike Phillips (left).